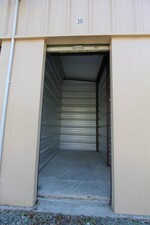 Rent Clean , Safe, and Secure Self Storage Units For An Affordable price! Rent online, Pay Online, Save Money By Not Paying the Onsite Clerks Salary. Cameras and Lights for Security and 24-7 Access to Your Storage Unit. Our website is easy to use and has all the features for a rich interactive experience. We make renting storage units easy & hassle-free. Manage your storage unit from the convenience of your own home, 24 hours a day and 7 days a week.